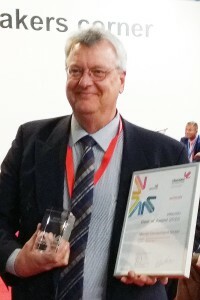 Mimaki today announced its TS300P-1800 inkjet printer is this year’s winner of the Viscom Best of Awards for Textile Refinement. 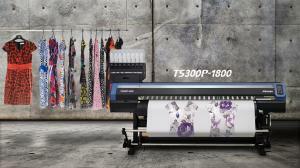 Designed for low-cost production of high-value digital textile applications the TS300P-1800 1,8m wide roll-to-roll sublimation inkjet printer is a dedicated transfer paper printer, offering new levels of quality and productivity. 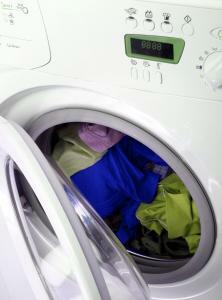 Its capabilities have been enhanced with two fluorescent inks, which are available in yellow and pink. These inks were made especially for use in the low-volume high-quality sublimation paper transfer market and are perfectly suited for fashion, sportswear, swimwear and shoes. The TS300P-1800 has been a hit since its launch at Fespa 2015 and will continue its fall event tour with a live demonstration at ITMA 2015, in Hall 18, Stand C104, with exciting samples of the new Neon inks for active wear. 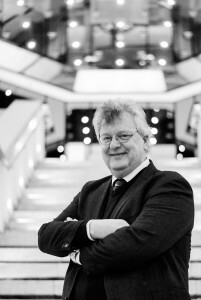 From there it will be transported to Istanbul, Turkey to wow visitors at FESPA Eurasia, taking place December 10-13, 2015. Regarding JV300/150 and CJV300/150 series, countermeasure firmware against error troubles was released. (JV300/150: Ver.1.61, CJV300/150: Ver.1.51) We would like to ask you to update the firmware yourself. An array of delights from Mimaki, that addresses today’s demand to be more visually creative and flexible, awaits visitors to Viscom Paris 2015, Stand D073, on September 29, 30 and October 1, as well as C!Print Madrid 2015, Stand B80, on October 6-8. 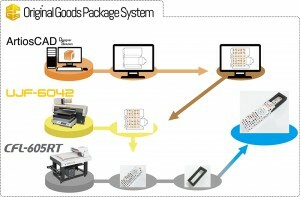 At both shows, Mimaki will be displaying similar products. 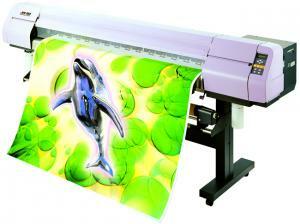 For the textile industry, there is the latest portfolio addition, the Mimaki TS300P-1800. Visitors will see how cost effectively dye sublimation printing can be offered, with the added benefit of high quality and unmatched productivity. Perfectly suited to the creation of fashion, apparel, sportswear, furnishings and point-of-sale materials, the TS300P-1800 uses state-of-the-art technology to set new performance benchmarks for the sector. For packaging, Mimaki will present the Mimaki CFL-605RT, a compact flatbed cutting plotter that offers both creasing and cutting and will enable packaging converters to create and deliver high quality, cost-effective, designs, smoothly and quickly with a digital finishing workflow. The CFL-605RT incorporates multiple functions and employs Mimaki’s well-established technology to support immediate finishing of packaging and prototypes. The parade does not stop there. Mimaki will also be putting other printers on display, so there is something for everyone. 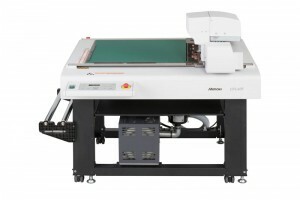 The Mimaki UJF-6042 LED UV inkjet flatbed printer with maximum printing dimensions of 610 x 420 mm can be used to print on a product, as well as to print product packaging; and the Mimaki CFL-605RT cutting plotter supports on-demand production with multiple functions, including cutting and creasing of packaging material and cutting of package cushioning. 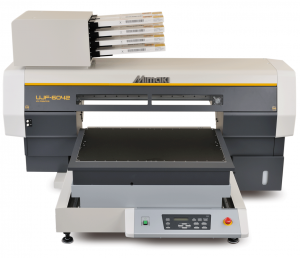 Also on display will be the Mimaki JFX200 LED flatbed printer that can print on a wide range of substrates from acrylics to metal, wood and stone, and the UJF-3042 LED flatbed printer that offers unlimited production capabilities, including its Kebab option that enables printing on cylindrical shapes. 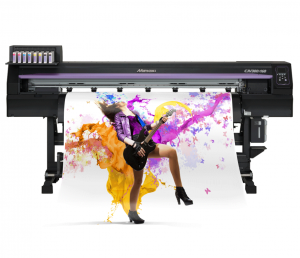 The Mimaki JV300 and JV150 series eco-solvent printers ensure creativity and versatility with vibrant ink types for a wide colour gamut, which allows six-colour printing, including orange and light black, all in a cost-effective package. Also on display is the EDP award-winning Mimaki CJV150 and Mimaki CJV300 integrated printer/cutter series ideal for a wide range of applications from signage to banners, stickers and canvas prints to meet the broadest range of display graphics and textile printing needs in the industry. Mimaki will be demonstrating the new White and Silver Metallic inks. 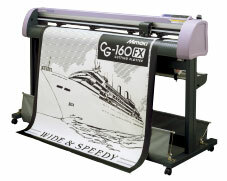 Last but not least, Mimaki’s line of cutting plotters is also represented by the high precision, fast and accurate professional production delivered by the CG-160FXII. At this years Sign & Digital UK exhibition there were four Mimaki JFX200 printers being demonstrated on four different booths – three of those booths were resellers who would have had to significantly increase their booth floorspace costs in order to showcase the Mimaki flatbed – they’ll have made that investment with confidence that the increased cost of demonstrating the printer will have been offset by leads and indeed sales.